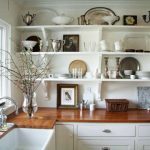 If you have a small kitchen you could adopt some simple ideas to help you save space and improve the décor at the same time. 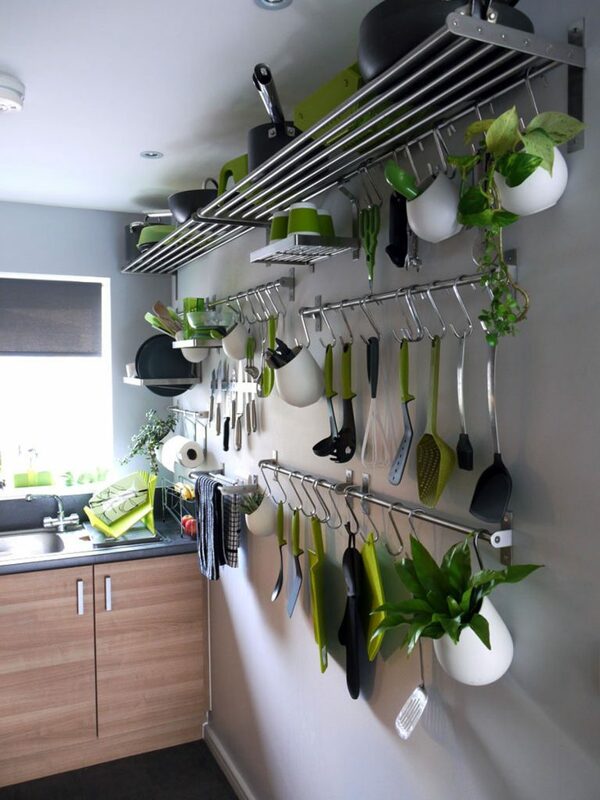 If your cabinets are too small or you have too many utensils you could decide to use some of the gear as wall hangings. 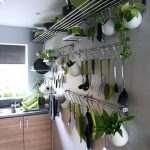 Simply install hooks or rods on the walls and you can hang items such as chopping boards, sauce pans, and other chunky items. 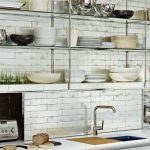 This will help save space and create some a great look. 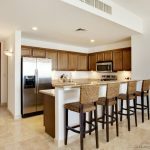 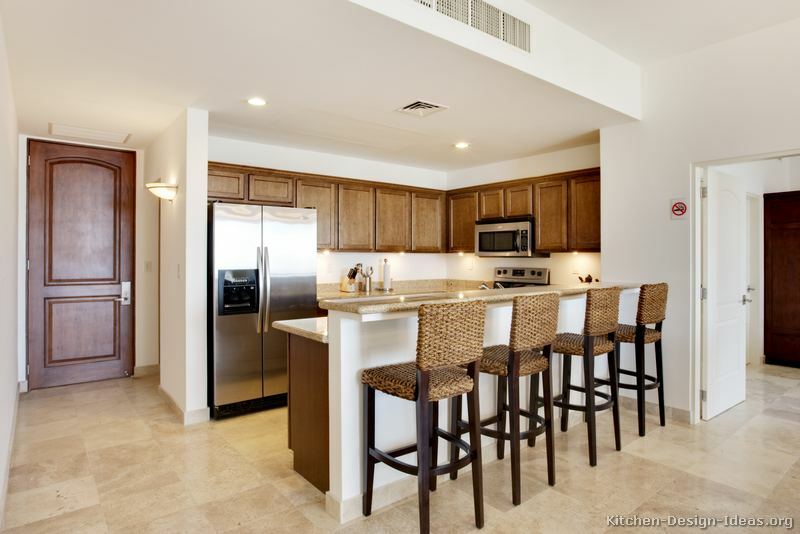 If you do not have sufficient dining space in your kitchen you could install a wooden plank at the edge of a counter or along a windowsill. 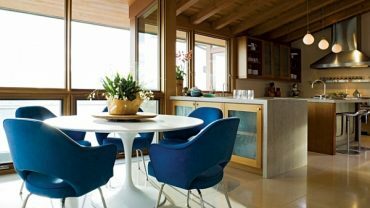 This simple upgrade can create an eating area in a small space. 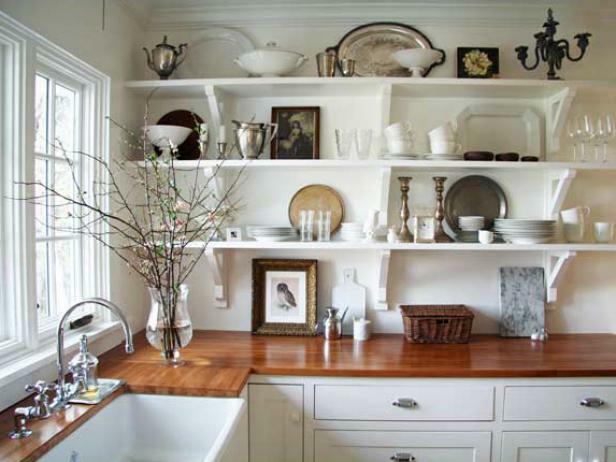 The best way of making space in a small space is by fixing simple open shelving. 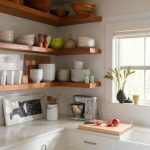 With some simple DIY skills, you could set up a couple of rows of shelves where you could store all your excess kitchen gear and de-clutter the kitchen. 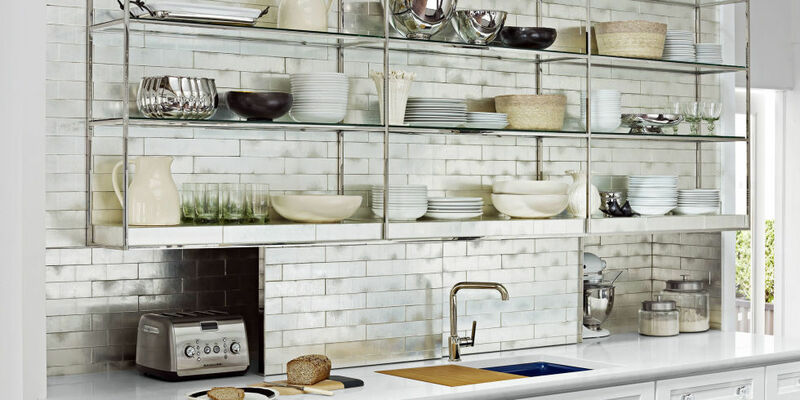 A wall that is strictly dedicated to shelving can also be an interesting design statement.